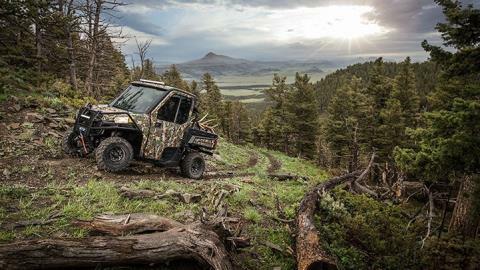 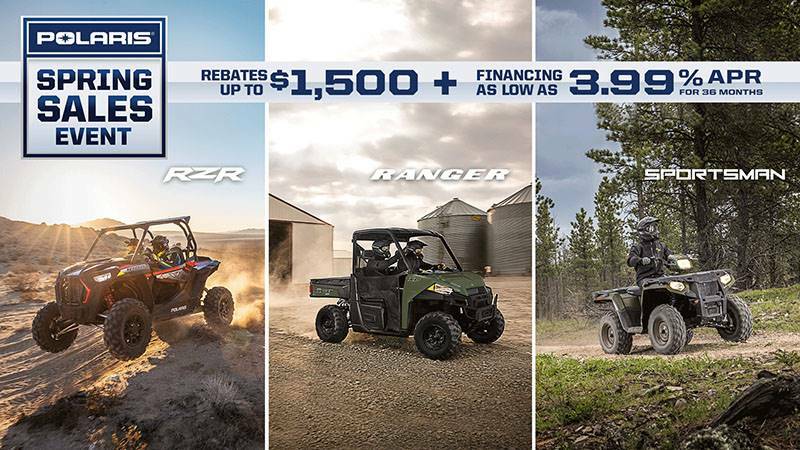 The ProStar® Engine Advantage The RANGER 570 Full-Size ProStar® engine is purpose built, tuned and designed alongside the vehicle – resulting in an optimal balance of smooth, reliable power. The ProStar® 570 engine was developed with the ultimate combination of high power density, excellent fuel efficiency and ease of maintenance. 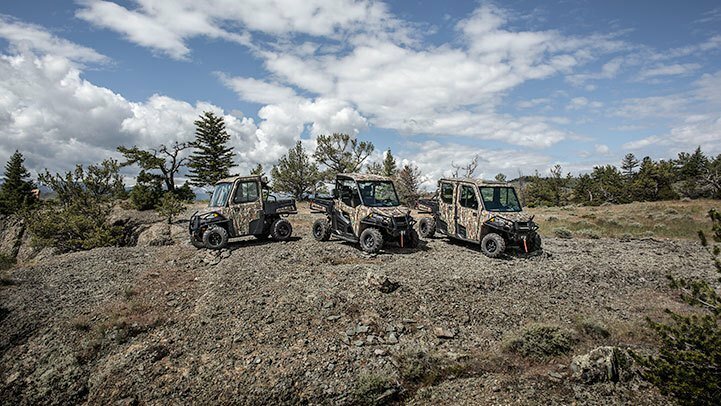 ProStar® Pulling Power NEW: Featuring a powerful 44 HP ProStar® engine† that leaves the utility side-by-side competition in the dust – 22% more than the 2014 Honda Pioneer™ 700††. 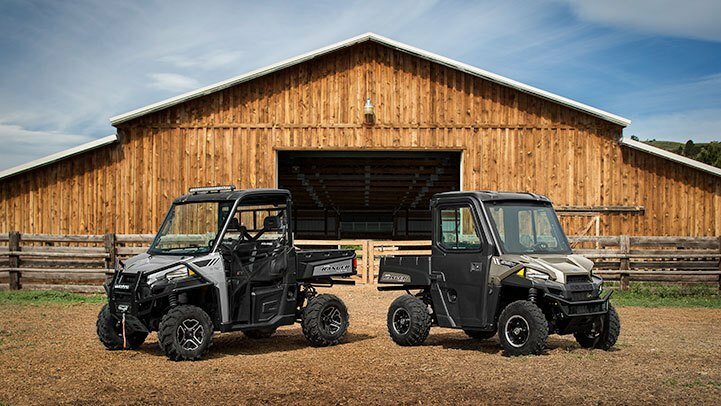 The RANGER 570 Full-size delivers more torque and rear wheel pulling power to get the job done Disclaimer: †All competitive comparisons are based on 2013/2014 models and on published manufacturer specifications available at time of printing. Pioneer® is a registered trademark of Honda Motor Co., Ltd. HP numbers are based on 2013 Executive Orders issued by the California Air Resources Board (CARB) ††All horsepower specs tested and verified by a third party entity. 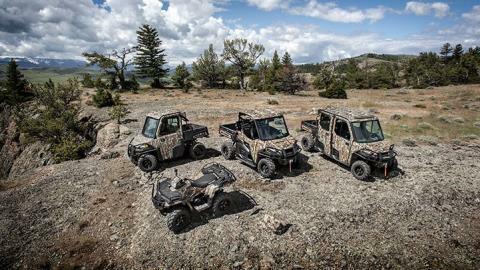 Class-leading Towing and Payload With a monstrous class-leading 2,000 lbs. 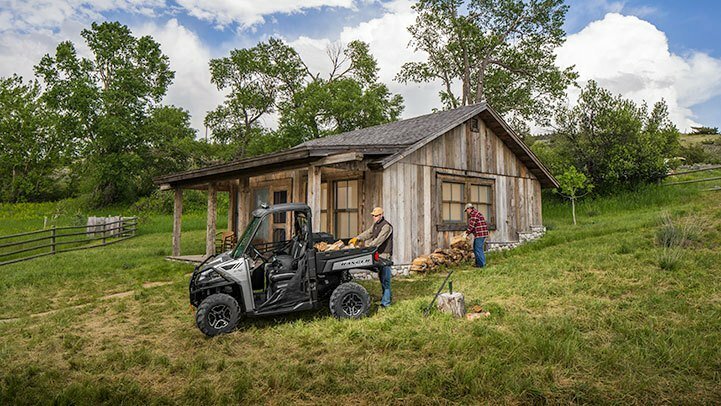 towing capacity and standard 2” receiver, the RANGER 570 Full-Size allows you to tackle the toughest jobs with confidence. Additionally, a class-leading 1,500 lbs payload capacity is highlighted by a rear box with gas-assist dumping operation that can tote up to 1,000 lbs. of materials and a full-sized pallet. 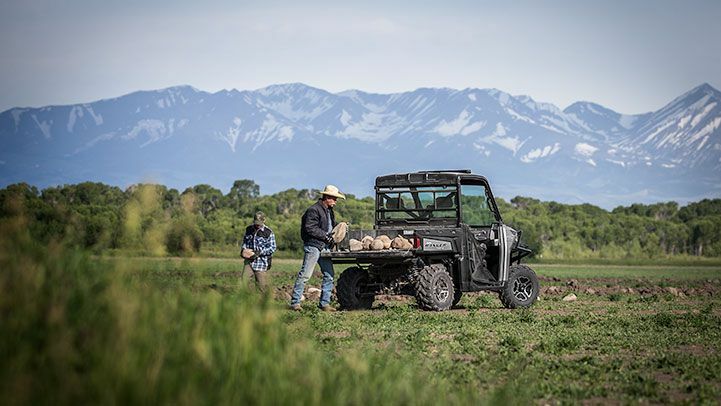 Leading Storage Solutions With the RANGER 570 Full-Size, enjoy a full 37 L of enclosed storage plus plenty of easy-to-access in dash storage that keeps items at the ready when they’re needed. Styling with a Purpose The RANGER 570 Full-Size headlight shape allows for an ideal beam spread in the 55W low or 60W high position. 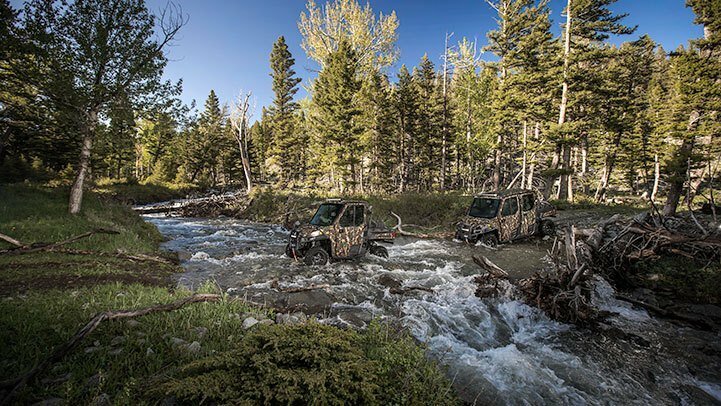 Driver and passenger side nets allow for easy entry and exit of the vehicle plus great sight lines. All-Day Riding Comfort We designed the RANGER 570 Full-Size with an ideal seat height combined with wide foot clearance for easy entry and exit. 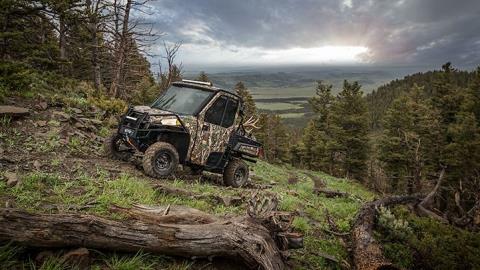 Plus, experience a plush split bench, a full 10 inches of tilt steering adjustment and room for three adults. 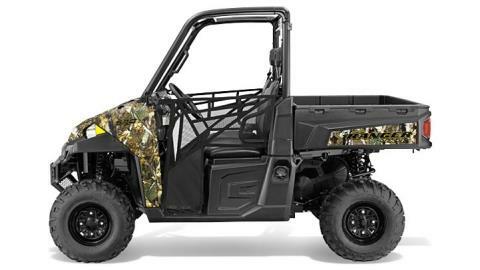 Obstacle Clearing Ground Clearance Polaris engineers designed the RANGER 570 Full-Size with a perfect balance of smooth riding, handling and turning radius from an ideal 81” (206 cm) wheelbase paired with a full foot (30.5 cm) of ground clearance.